Yhteensä 13 jaksoa, joista ensimmäinen julkaistu 10.10.2018. In this Futurebuilders podcast together with Sampo Hietanen and our daring host Teemu Uotila we will find out: - What is the future of transportation? - What environmental impacts does Mobility as a Service have? - Will automated vehicles shape how we use our time? Sampo Hietanen is the author of the Mobility as a Service concept. He is an experienced civil engineer, the CEO and a founder of the MaaS Global company. The future is here tomorrow. Listen to Futurebuilders podcast today. In this Futurebuilders podcast together with Pasi Vainikka and our host Teemu Uotila we will find out: - How to make more environmentally friendly food in the future? - Are lab-based foods a threat to traditional farming? - What kind of foods will we eat in the future? Pasi Vainikka is a co-founder and CEO of Solar Foods, a company that creates food out of thin air. He's also an enthusiastic researcher in the energy field. The future is here tomorrow. Listen to Futurebuilders podcast today. In this Futurebuilders podcast together with Pasi Vainikka and our host Teemu Uotila we will find out: - How is it possible to produce food out of thin air? - What are the benefits of producing food without agriculture? - Are people ready for these new non-traditional foods? Pasi Vainikka is a co-founder and CEO of Solar Foods, a company that creates food out of thin air. He's also an enthusiastic researcher in the energy field. The future is here tomorrow. Listen to Futurebuilders podcast today. In this Futurebuilders podcast together with Aswath Damodaran and host Teemu Uotila we will find out: - What should cryptocurrencies do in order to succeed? - Why 24/7 trading isn't necessarily a good thing? - Is the trend of corporate social responsibility mostly PR? Aswath Damodaran is a Professor of Finance at the Stern School of Business at NYU. He is the author of "Investment Valuation" and many times awarded teacher. The future is here tomorrow. Listen to Futurebuilders’ podcast today. In this Futurebuilders podcast together with Aswath Damodaran and our daring host Teemu Uotila we will find out: - Why companies should act their age? - What are the foundations of a successful company? - How to ensure your profits as an investor? Aswath Damodaran is a Professor of Finance at the Stern School of Business at NYU. He is the author of "Investment Valuation" and many times awarded teacher. The future is here tomorrow. Listen to Futurebuilders’ podcast with Aswath Damodaran today. 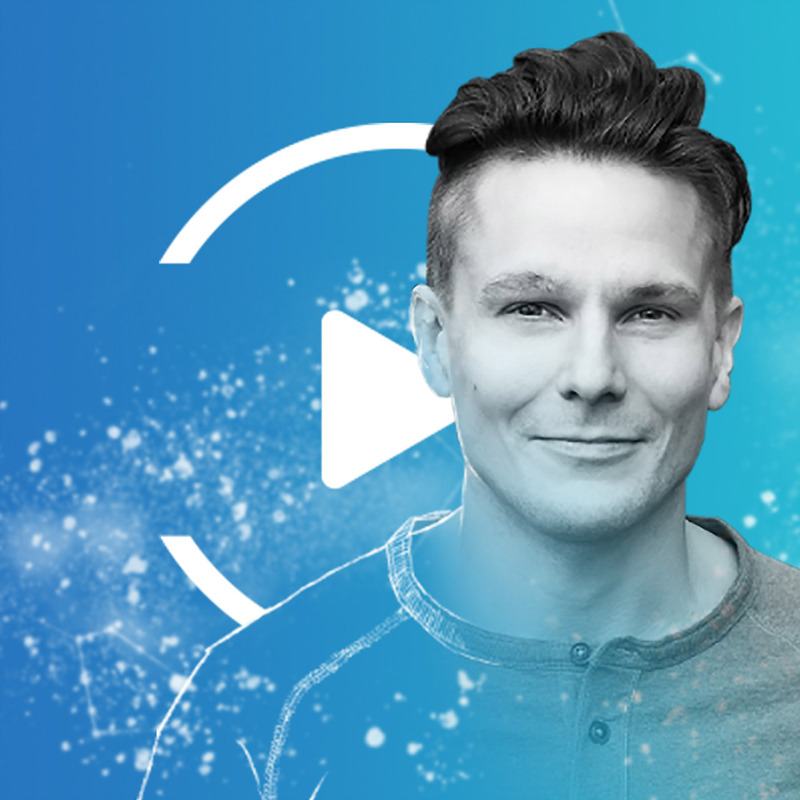 In this Futurebuilders podcast together with Lauri Pyykkönen and our daring host Teemu Uotila we will find out: - How much are we willing to sacrifice for work? - You are the treasure but do you understand it? - How to make everydaylife a celebration? Lauri Pyykkönen is the CEO of Golden Rainbow Oy. He helps people to improve their stress management skills and energy levels with sports and exercise. The future is here tomorrow. Listen to Futurebuilders’ podcast with Lauri Pyykkönen today. In this Futurebuilders podcast together with Soheila Jalali and our daring host Teemu Uotila we will find out: - What is biotechnology making possible today and tomorrow? - Are we able to stop ageing in the future? - How can you get more time? Soheila Jalali is a passionate biotech professional doing her master’s degree in Molecular Biology and Biotechnology. She also has experience from health technology startup in India. The future is here tomorrow. Listen to Futurebuilders’ podcast today. In this Futurebuilders podcast together with Roy Taylor we will find out: - How will AI change our lives in the future? - What are the ethics of digitizing humans? - What is the role of humanity next to artificial intelligence? Roy Taylor is CEO and Co-Founder of Ryff, the intelligent image company. Roy has decades of experience on bringing technology to film, television, video games and VR. The future is here tomorrow. Listen to Futurebuilders’ podcast with Roy Taylor today. Rene Amador is AR Evangelist in Hollywood, Filmmaker, CEO and Co-founder of ARwall. In this Futurebuilders podcast together with Rene Amador we will find out: - How will augmented reality change filmmaking in the future? - What’s the role of AR for future generations? - How will stories be told in the future? The future is here tomorrow. Listen to Futurebuilders’ podcast with Rene Amador today. In this Futurebuilders podcast together with Dean Seddon we will find out: - What does it take for businesses to succeed in the future? - How can you be a happy millionaire? - What does growth of businesses require from individuals in the future? Dean Seddon is founder and director of marketing and strategy consultancy Maverrik. The future is here tomorrow. Listen to Futurebuilders podcast with Dean Seddon today. In this Futurebuilders podcast together with Robert Nemlander we will find out: - How can we create sustainable nutrition in the future? - How to feed Earth and Mars? - How to be the change you want to see in the world? Robert Nemlander is a serial entrepreneur, civil engineer, public speaker and a former astronaut candidate. He is co-founder of EntoCube, the award-winning Nordic leader in insect farming technologies and insect foods. In this Futurebuilders podcast together with Gerd Leonhard we will find out: - Is it necessary for everyone to have a job in the future? - Will machines replace humans? - How can you prepare for future worklife? Gerd Leonhard is a futurist and a humanist, author of 'Technology vs. Humanity' and CEO of The Futures Agency. The future is here tomorrow. Listen to Futurebuilders’ podcast with Gerd Leonhard today. In this Futurebuilders podcast together with Anna Cook we will find out: - What does it take to be super talented in the future? - What are the features that experts need to focus on in order to succeed in the future? - How will supertalents be recruited in the future? The future is here tomorrow. Listen to Futurebuilders podcast with Anna Cook today.